Looking around our lives, we are surrounded so many things. Are they really being fully-used? Do we sometimes throw these things away even when they may still be of use to us? We think that it is very important to choose genuine products to appreciate the real value. Also use a product till the end of its life in order to fulfill its role. We don’t follow the trends in fashion. Our brand name “UES” derives from Japanese. UES in Japanese is pronounced “uesu” meaning dust cloth. 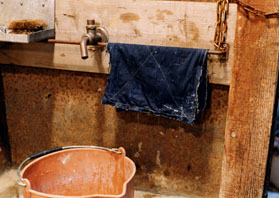 People often reuse old clothes as dust cloths to extend these usage. We keep making our products in the hope that you will use our products until the end of these life. Neither to throwing them away nor, keeping them in the closet without being fully-used. Our Original condition products　are…　like uncompleted works. It is the customers who complete the works as they wear them regularly. Natural fading, damage, and the texture of cloth are difficult to duplicate. We provide customers with high quality　products. So, it is you who completes our work. We believe that the real vintage process should be done on the customer side. UES products will be completed only after years of regular use. Please enjoy wearing our products until it becomes real “ues”. 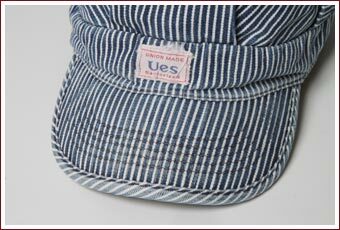 The products of "UES" are made by using old style shuttle looms in order to hold a respect in the taste of the fabric. However production efficiency is　much lower than modern looms, it's only one-fifth. But, old style shuttle looms can weave the fabric with a unique and special taste. The old style looms aperture is wide, so it can weave slowly. Therefore, the fabric woven by this shows the yarns personality on the surface of the fabric. The modern style looms weave by quick-moving. 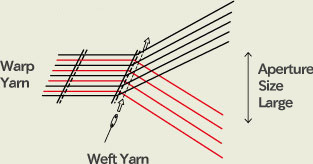 The aperture small, will pull strongly and warp the yarn. 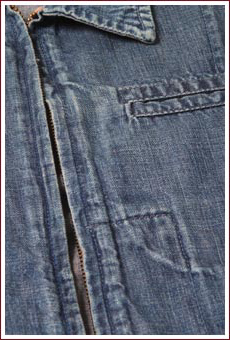 Woven fabric often results in flat texture and it has a weak character. As a result, even if we weave the fabric from the yarn of the same thickness, the fabrics woven by the old style looms are thick fabric and be keep yarn personality. One characteristic of the old style looms allows for human intervention compared with the latest machines that are computer-controlled. So this makes it possible to create a unique fabric. With the support of the skilled craftsmanship, the product of UES is created. UES jeans is made of Zimbabwe cotton. Zimbabwe cotton is raised by the grace of mother Africa and it is recognized as the best quality cotton in the world. To harvest only by hand, it doesn’t have any damage or mixed with cotton of a lower purity. For that reason Zimbabwe Cotton has many characteristics which provide well-proportioned fiber structure, such as a high luster and whitening, also good pliability and dyeing. We use quality cotton not only to achieve smooth fits, but also to provide durability much better than if we used cheap and hard cotton. Also, to use quality cotton creates good natural proportioned slub yarn which can influence the vertical fade as a charm of the jeans. 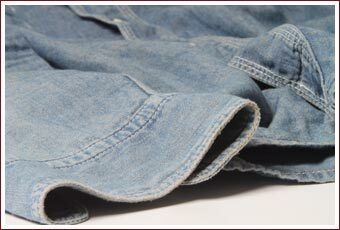 For that reason, Zimbabwe Cotton can deliver cool vertical fade that crosses to vintage jeans looks. We are sticking to rich and deep colors, mixing brown cotton to yarn. 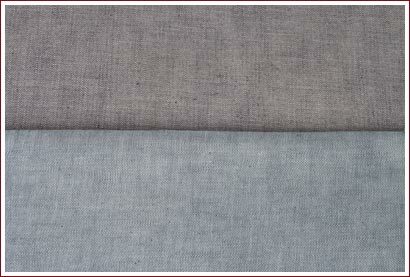 If you look at the back side of the fabric, you will find the weft looks a brownish off-white color. Dye for our jeans is not natural indigo. 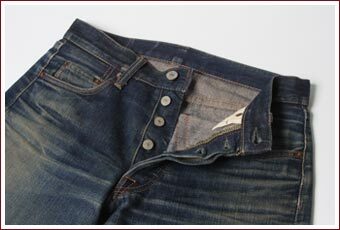 Synthetic indigo has mainly been used for Jeans since they began to be produced. A group of un-dyed yarn is twisted together and dyed as a single unit called a rope. The character of rope dyeing yarn is that only the surface of yarn is dyed, a inside core part of yarn still remaines un-dyed and it is delivered of vertical fade as like vintage denim. We are making products that increase in taste and color by regular use. So, there is always room for variation. Copyright RAINBOW COUNTY All Rights Reserved.